In on trade is this 1983 El Camino powered by a rebuilt 350 small block, and turbo 350 3 speed automatic transmission with a Lokar shifter. This car was built by a father and son. The car was purchased when the son was twelve, and the two of them worked on the car through his teen years...completing it in time for him to drive it to high school. Now that he has graduated, and is supporting himself, he feels, after agonizing over the decision, it is time to take what he and his father built and turn it into something he has always wanted...a Corvette. And so, a new chapter in his car life has begun. Father and son tell us that everything on this car has been either rebuilt or replaced...engine...transmission...bushings...shocks...suspension. You get the idea. The car features 17 inch chrome Foose wheels front and back, a black and white custom interior, tinted windows, custom speakers...you provide your own radio...and Equuis amp, temp, and oil pressure gauges. This car runs great...you could drive it anywhere...it has NO issues. 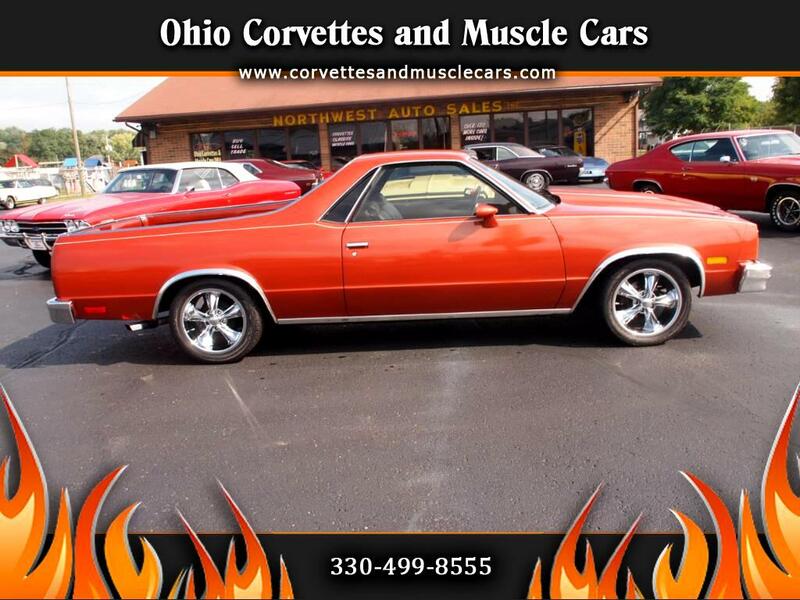 Message: Thought you might be interested in this 1983 Chevrolet El Camino.